That is super cool that your husband can track you while you run…he can make sure to have your recovery smoothie waiting for you when you get back! Oh, I really like my simple hydration bottle and how it fits with my flipbelt. Thanks for that discount code by the way(or was it Sharon? I am pretty sure it was you) Anyhow I like it. 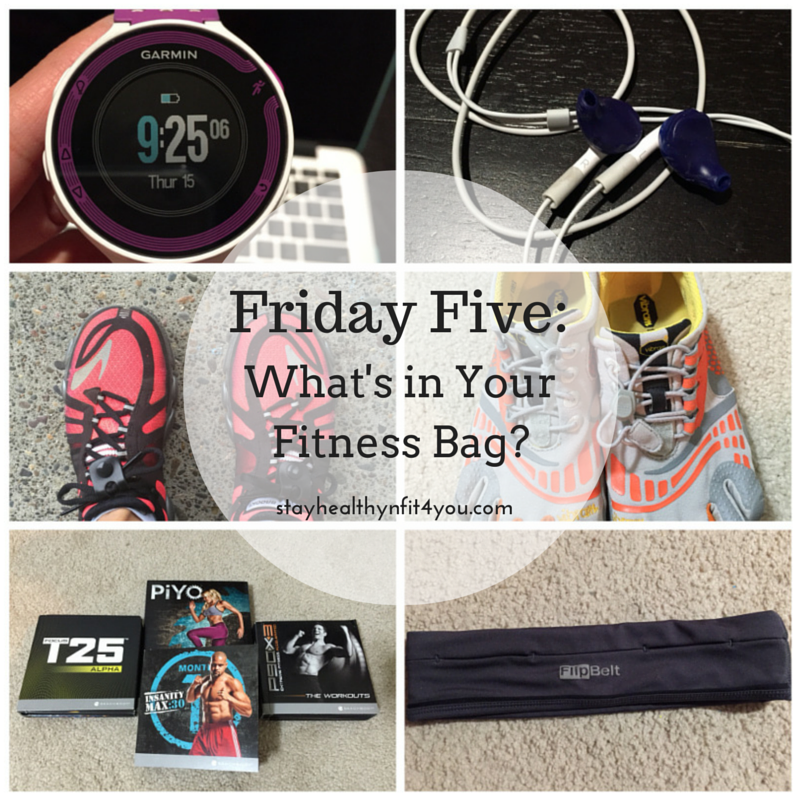 I also love my yurbuds and they are always in my gym bag! I also started carrying extra head bands, my gym gloves, and extra towels. Haha, I wish my husband had a recovery smoothie ready for me when I get back! That’s cool you’re enjoying the simple hydration bottle with the FlipBelt! It’s a great combo! 🙂 Headbands are a must for me too! I’ve never used Yurbuds before. Have you used the same one since 2009 or have you had to replace them every few years? I end up buying the $10 from target or drugstore, and luckily they fit fine; however I find their uselife is not very long. I’ve been using the same ones since 2009 :P, but I think they’re starting to show wear so I’m on the lookout for new ones. I’m thinking about trying bluetooth wireless headphones. I just ordered some so we’ll see how that goes. I have just about everything on this list! The pure flows are my favorite shoes, and I also love my flip belt. I need to wear headphones that wrap around my ears so yurbuds don’t work for me (I got them for Christmas one year but they kept falling out of my ears when I tried to run with them). I’d like to try Yurbuds. I’ve always had a problem with buds staying in. I’ve been using Skull Candy and they work fairly well unless it is sweaty, stinking, hot. I like your Garmin 220. When my 110 dies, I think that will be my next one. I haven’t tried Skull Candy yet. Yurbuds are great! You should try them. Love the list. I need to invest in a new pair of headphones. The ones I have work, but they’re not entirely comfortable. Heard lots of good things about Yurbuds. Considering looking at something bluetooth based and finally going wireless for my workouts. Yurbuds does have a wireless option but are a bit pricey. I’m looking to go wireless as well and actually ordered a different brand to try since they were on sale. I also have Yurbuds and love them! 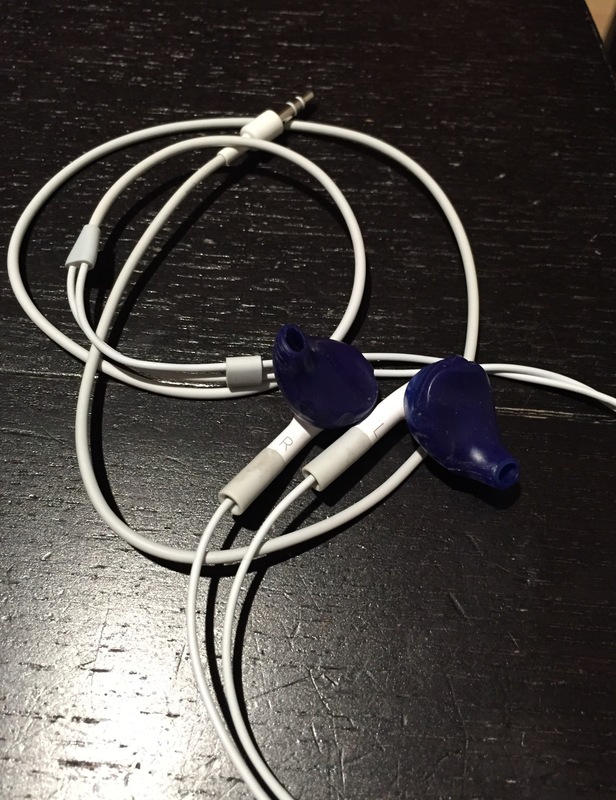 I could never get other earbuds to stay in my ear and I always got so frustrated, I couldn’t enjoy my run. 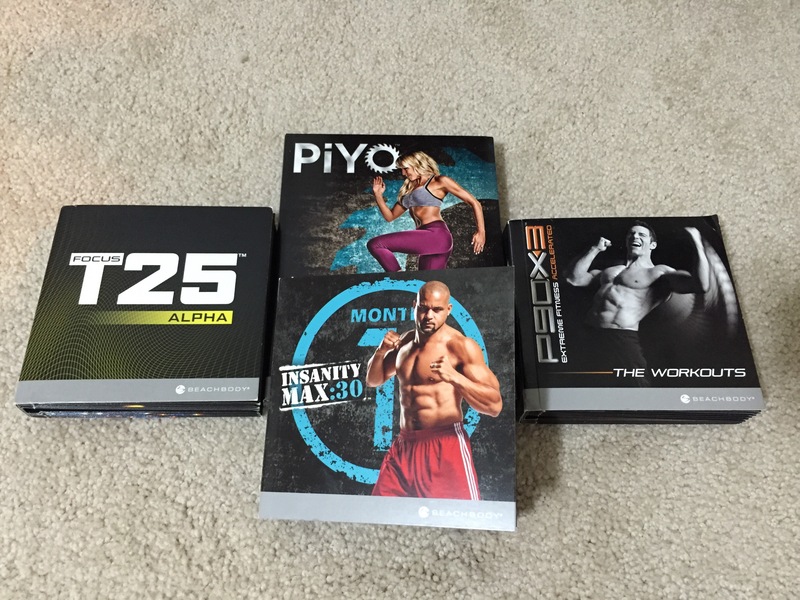 So glad that I have PiYo in my life! Thanks Sharon! 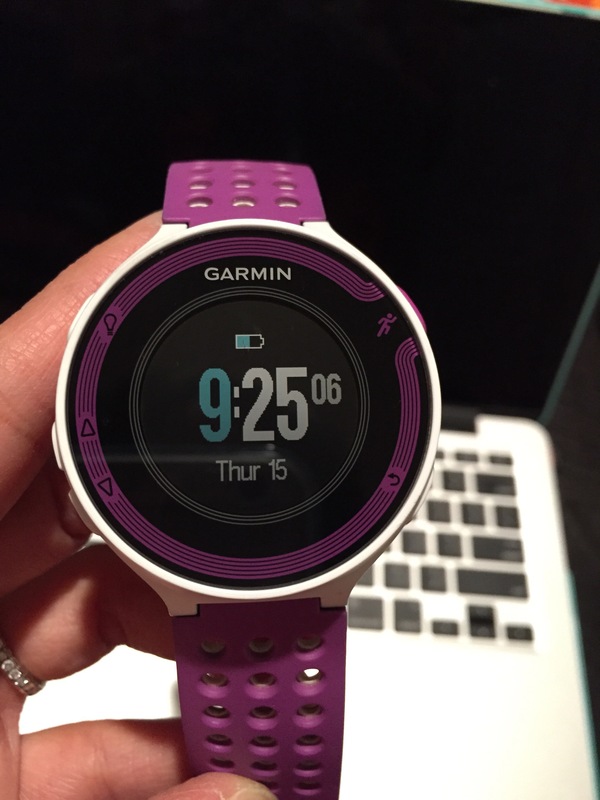 Garmin’s do last a long time, which is great! LOVE my yurbuds, have for years. Just for a flip belt as a Christmas gift from my MIL, need to try it out and see if it will carry enough GU and gel flasks for a full marathon. Just GOT a flip belt is what I meant to say 😉 long-ish day for my brain I guess. 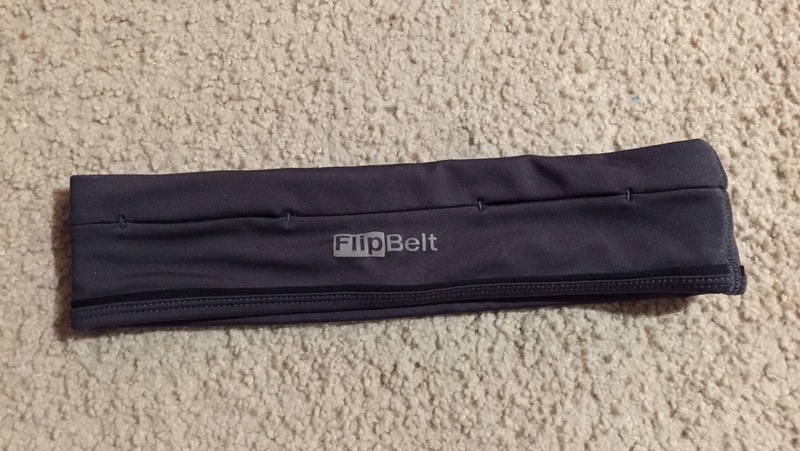 I really like the concept of the flipbelt. Plus it’s the only one that fits my large phone. 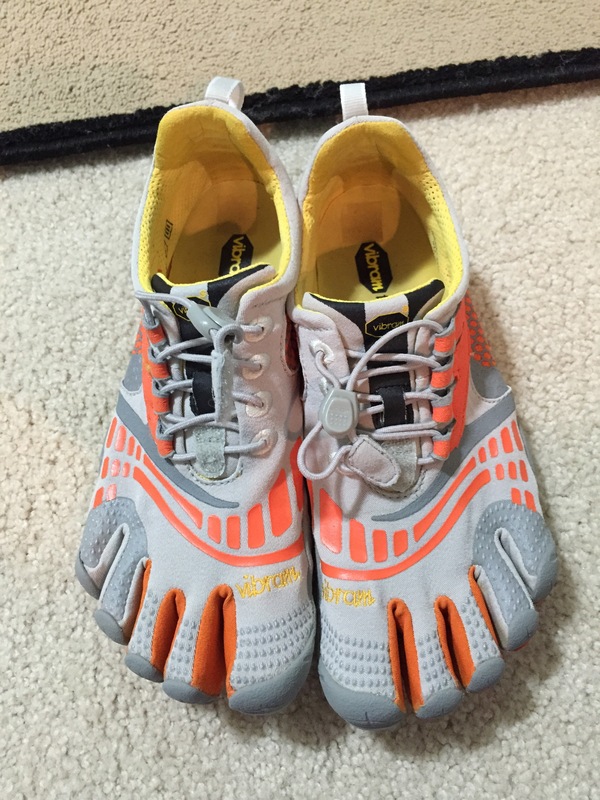 However I think I got the wrong size bc it does tend to ride up a bit during my run. It is an awesome concept! I would size down since it’s not supposed to ride up. They also have a great customer satisfaction guarantee. great post! I just got a Flipbelt and need to wear it more. I like that Garmin! Great list! Thanks for linking up with us!!! I also use MyASICS to train. I’m loving it so far. Cool! I think it’s a great app! Love the SUMOgrips on your Brooks! !